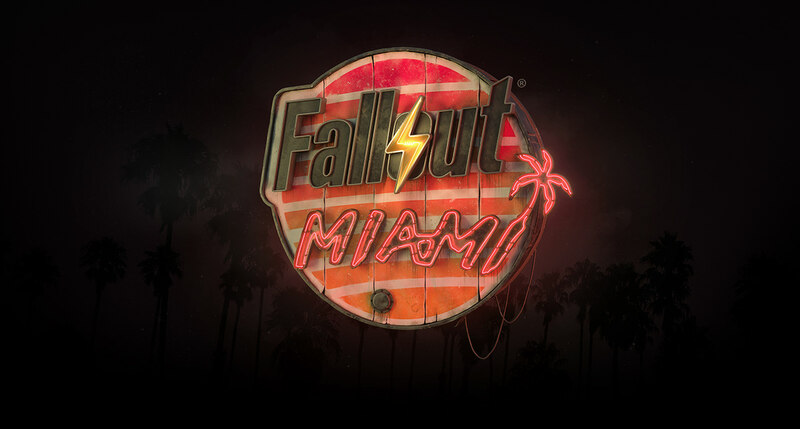 Fallout: Miami — is an upcoming mod for Fallout 4. 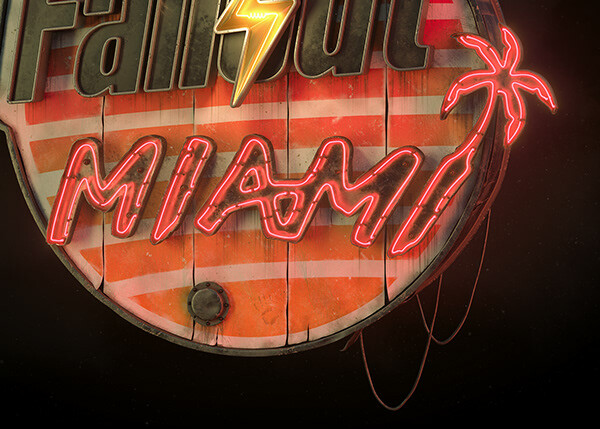 Take a glimpse into the post-nuclear vacation wasteland of Fallout: Miami! The Sole Survivor journeys to the sunny South, following the promise of a well-paid job, but ends up embroiled in a conflict between various groups, some vying for power, others fighting to uphold their ideals. 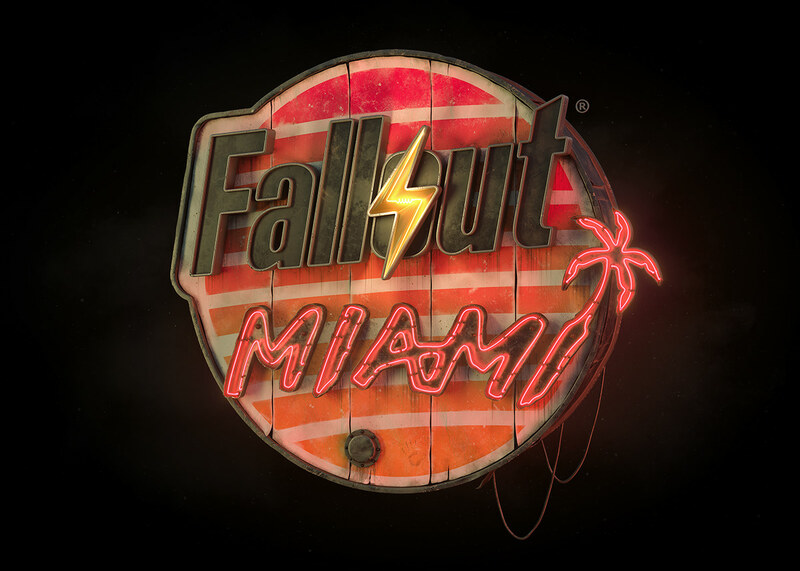 Fallout: Miami is a brand new worldspace, with a gripping main quest, side-quests, equipment, settlements, and a host of interesting characters and companions! Uncover the truth behind the mysterious disappearances and take part in the age old struggle between Order and Freedom. A community of talented people developing this ambitious mod invited me to create authentic looking 3D logo. 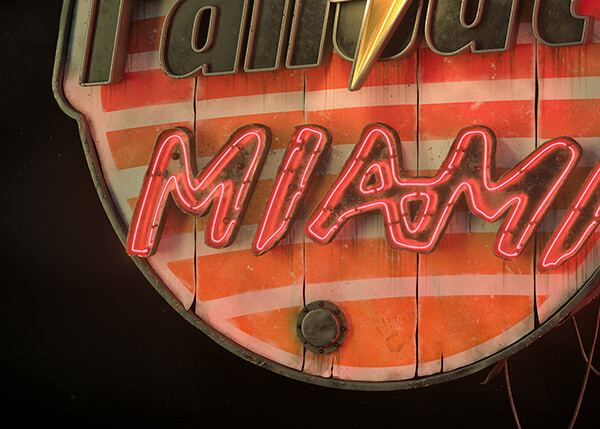 You know, Miami is usually associated with palms, beaches, nightlife and neon signs... 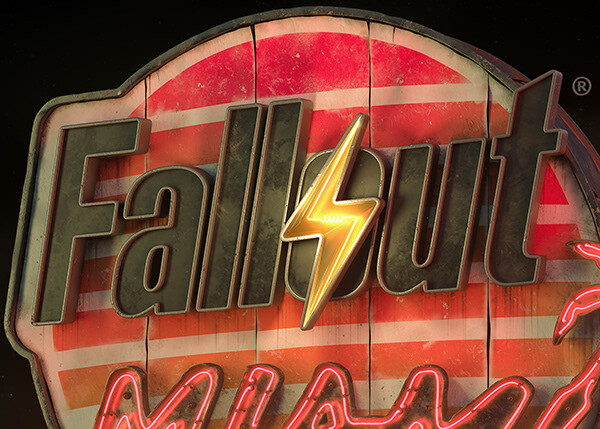 So I decided to create a post-nuclear neon sign with painted sunrise and neon palm. I added a lot of details to make it look like an old worn-out sign with look and feel of original game. 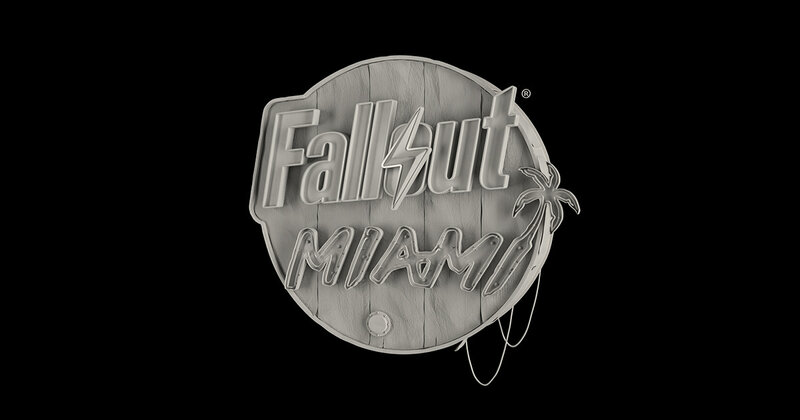 Fallout: Miami is an upcoming mod for Fallout 4. 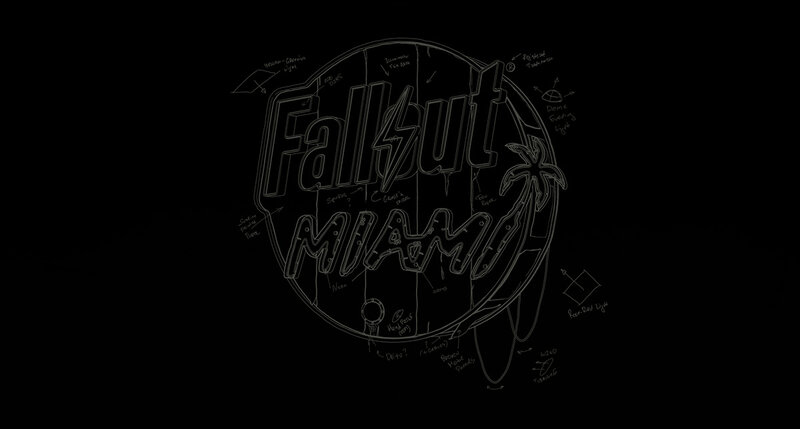 FALLOUT AND RELATED LOGOS ARE TRADEMARKS OR REGISTERED TRADEMARKS OF BETHESDA SOFTWORKS LLC IN THE U.S. AND/OR OTHER COUNTRIES. ALL RIGHTS RESERVED.